A short par 5 that offers scoring opportunities for longer hitters. Keep your drive on the right side of the fairway. A small green, bunkered on both sides, rewards accurate approaches. A mid-length par 4. A drive down the right offers a wide open look at an unprotected green. Another scoring opportunity for long hitters. A drive down the right side gives an open view of the green, which is protected by a large bunker on the right side. Laying up is a good option. A short par 4. For an open look at the green, accuracy is required off the tee. A large bunker protects the left side of the green. River’s first par 3 demands an accurate tee shot to a small green, which is well protected by a false front and bunkering front and left. A tee shot that makes it onto the plateaued fairway is rewarded with an open look at a large green, bunkered on both sides. Make sure to take enough club on this long par 3. A lone bunker protects the front left portion of a small green. Our longest par 4 is a dogleg right. Keep your drive down the left side to avoid fairway bunkers and you’ll have an open look at the green, which is protected by a large bunker on the right. Par is a great score here. Watch out for the gulch that traverses the fairway. The green is well guarded by large bunkers on both sides, requiring an accurate approach. On this opening par 3, aim for the center of the small green, protected by bunkering on three sides. Judging the yardage correctly is imperative. 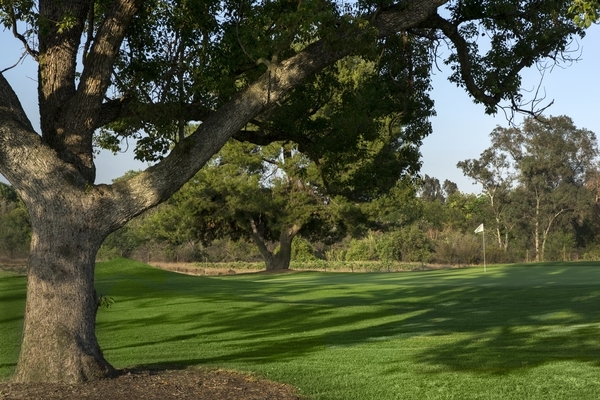 A short par 5 yields scoring opportunities for players who keep the ball down the middle. A lone bunker protects the left side of the green. A short dogleg right par 4. Tee shots should be kept left to avoid heavy bunkering on the right. Avoid the bunker pair on the left side of the green. A short par 4 yields birdie chances as long as you avoid the large bunker protecting the left front of the green complex. A three-shot Par 5 with OB down the left side of the fairway. Lay up to your favorite iron distance to attack this small, well protected green. A short par 4 that gives the best opportunity at birdie to a drive down the left center of the fairway. Bunkers protect the green front-right and back-left. 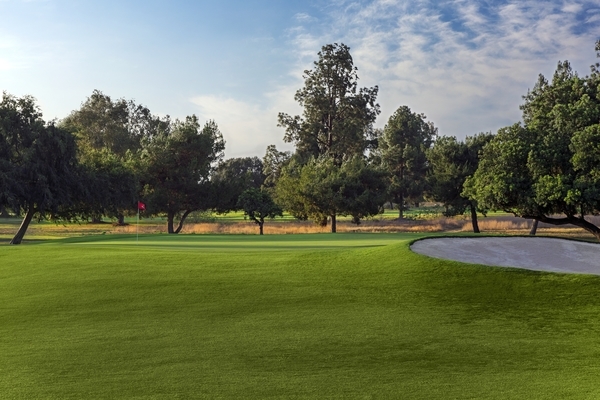 Enjoy your view of the San Gabriel Mountains before tackling this Par 3. Take enough club to clear the twin bunkers protecting the front of this small green. Drive down the left side of the fairway to have the best look at this large green, protected by a lone bunker on the left side. This hole requires a drive down the right side of the fairway to have the best look at a small, well protected green complex. Your Mountain round begins with a short par 5 and an excellent chance for birdie. Keep your drive down the middle as the fairway narrows considerably 150 yards from the hole. A small green is flanked by bunkers. Distance control is a must off the tee on this short par 3. The postage-stamp green is heavily bunkered in front. A drive down the left center of the fairway will yield an excellent view of a loosely protected green, plus a birdie opportunity. Just avoid the fairway bunker on the left. A short par 4 that requires accuracy both off the tee and on the approach. This small green is protected by deep traps on both sides. Aim for the center of this small green, and don’t leave it short, as the only trouble comes from the two bunkers loosely protecting the front. A demanding Par 4 that requires a precise drive down the left edge of the fairway, and an approach shot able to navigate a small green bunkered on three sides. Par is a good score here. This loosely protected green offers an excellent scoring opportunity to those who avoid the bunker protecting the front left. A very short par 5. Keep your drive left on this dogleg right for the best scoring opportunity. The small green is well protected with large bunkers front and right. A precise drive is required on this narrow par 4. The bunkers on the right and left should not come into play. Take dead aim at the unprotected green—one of the few the course offers. Tee times may be made up to 7 days in advance. When you call to make your reservation, our staff will ask the number of players in your group, and the day and time you would like to play. We will do our best to accommodate you. We will require a phone number, and on weekends, a credit card number to reserve the time. Cancellations will be accepted up to 24 hours prior to your tee time. There will be a charge of $10.00 for each no show and short show in your party, so please call in advance if you group size changes. 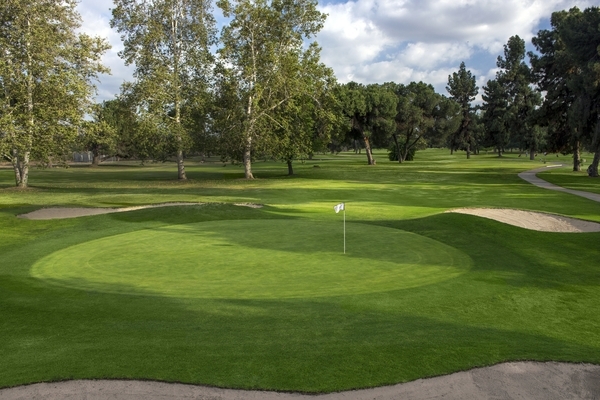 Designed by famed golf course architect William Francis Bell in 1955, Whittier Narrows Golf Course is set against a relaxing and picturesque parkland backdrop. Test your accuracy and improve your shot-making skills on our challenging yet enjoyable 27-hole course, complete with wide fairways, manicured greens, and well-placed sand traps. 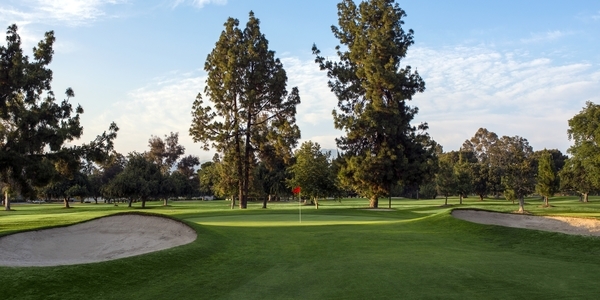 Whittier Narrows offers a comfortable, friendly atmosphere for players of all skill level. 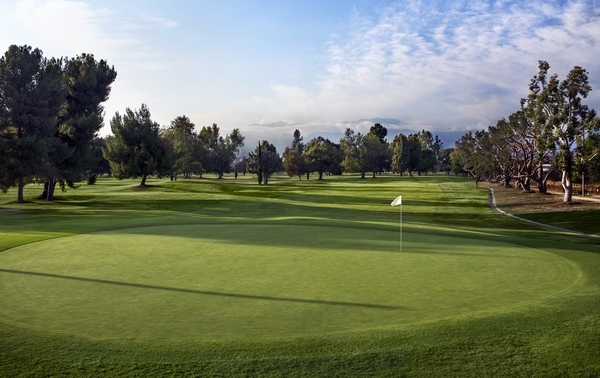 We also provide a full-service golf shop, grass driving range, putting and chipping area, and practice green—everything you need for a great Los Angeles golf experience.